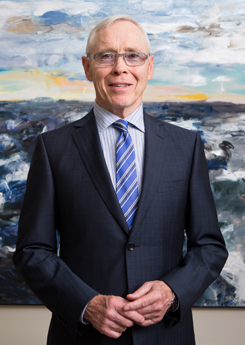 Joe Sheehan entered the insurance business in 1966. Although he has the requisite CLU and CFP professional designations, his most important experience was attained early in his career while dealing with the deaths of his sister, brother and both parents over a relatively short period of time. Having to deal with the realities of cancer, heart disease, aging parents and ultimately death forced Joe to reconsider his approach to his own life and his role as an insurance advisor. “We believe that before we talk about your life insurance, let’s talk about your life and what is most important to you. Life insurance or Critical Illness insurance is just a completion bond for helping people achieve the key goals they were pursuing before the interruption of sickness or death. Our process produces peace of mind because our clients can work out for themselves what they need to do to deal effectively with life and death”. Joe has a keen interest in personal development and fitness training. He and his wife, Mary Frances, love golf, travel, film and volunteering. He is a Founding Member of CALU ( Conference for Advanced Life Underwriting) and is a Board Member of the Leacock Foundation, and former Board Member of Face the Future and The Granite Golf Club. Jake Sheehan brings a strong analytical perspective to the Life Design team. Jake developed a unique financial modeling system (The Crash Test) that gives our clients the ability to see their current situation from a new perspective and to simulate potential life scenarios. Jake attended the University of Guelph and graduated from the Bachelor of Arts program in Philosophy with honours. While at Guelph Jake played on the varsity lacrosse, hockey and squash teams. Jake is an avid cyclist, mountain biker, skier, hockey player, and just about anything active outdoors. 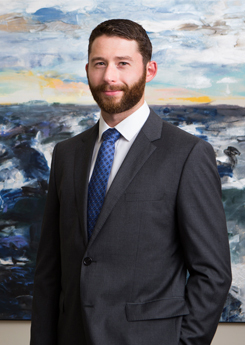 Currently Jake sits as Chair of the Board for the Young Professionals of Leacock whose mandate is to provide extended learning opportunities for youth in need living in Toronto and South Africa, through literacy and other academic interventions. He is also a member of the Estate Planning Council of Toronto. Your life is your most important asset. Our goal is to help you identify what is most important to you in Life and then to Design a System that will increase your probability of achieving it.